When there is the need of showing records on web page from the database, then you need to have pagination on the results for showing proper results. We can not show all the records in the single page. And it is impossible when results are thousands and lakhs. For this kind of need, we need to know how to create pagination with PHP and MySQL. Here i am going to show how you can show database data on the webpage with pagination. Suppose there is a table name employee which holds all the records of emplyees of the company. I am going to fetch the records on the webpage. // Check if start variable is there for paging. $limit = 10; // No of records to be shown per page. 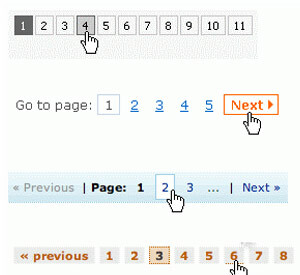 In case, you have problem in implementing this pagination php code, you can comment and ask the problem.